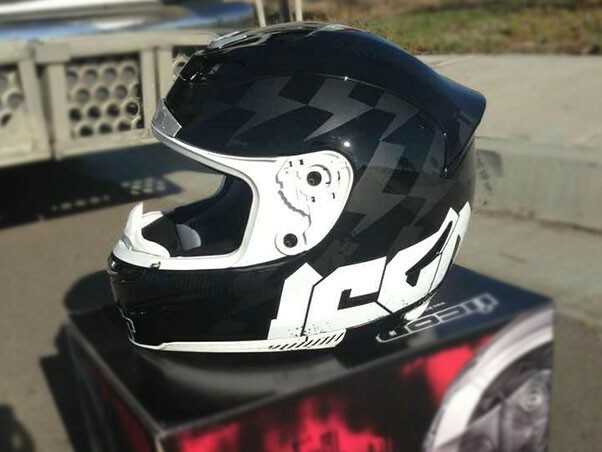 I purchased this Icon Airmada helmet a couple of weeks ago and realized that a few other riders had the same helmet. 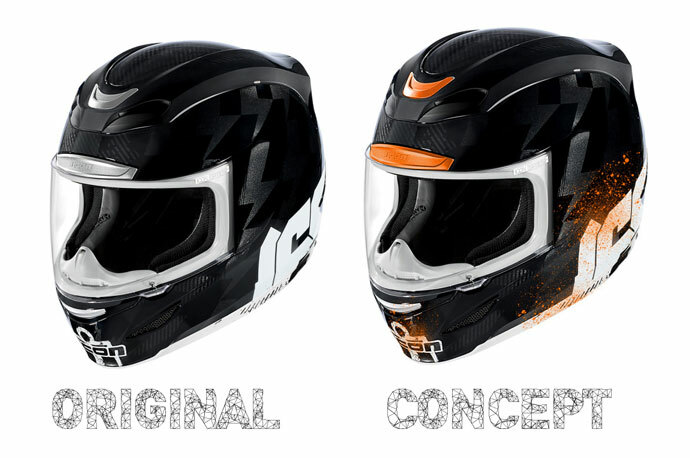 I wanted to do something that would set my helmet apart from the other helmets but that wouldn’t be perminent. 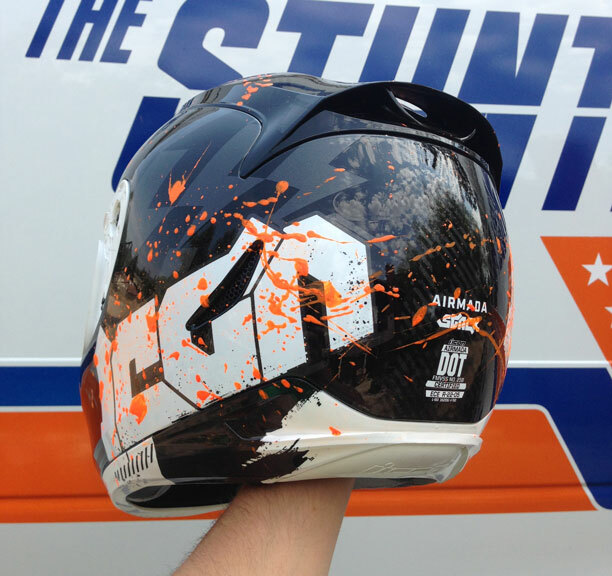 Since my brand colors are orange, I thought, why not add a little touch of orange to my lid!? 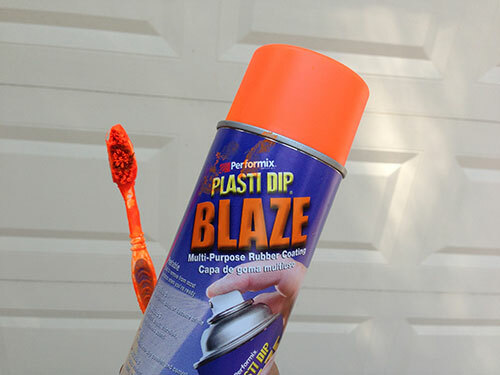 Since I am not a professional painter, I decided to use a product called Plasti-Dip. 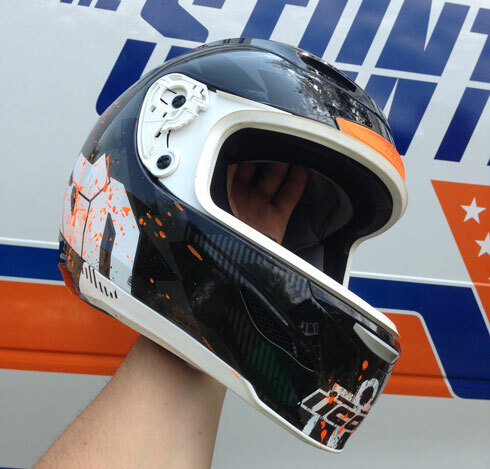 When completely dry, Plasti-Dip looks like paint but with a unique twist – it peels off like rubber! Traditionally, Plasti-dip was used to coat the handles of work tools to give them bettergrip. Car enthusiasts started using the product to coat their entire cars and wheels, giving them a different look which could be changed easily by peeling off the old color and applying a new one. 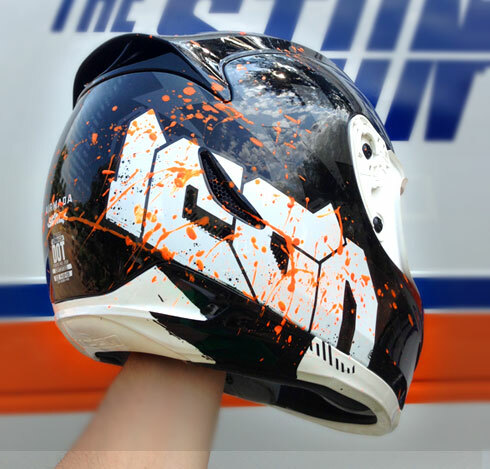 Equipped with my sisters tooth brush..errrrr, I mean a “used” tooth brush and some rubber gloves I loaded up the tooth brush with an abundant amount of orange Plasti-Dip and started splattering away at my helment until I got the desired look I wanted. To finish it off, I gave the tooth brush bristles a few flicks to add some of the finer detail. I think all those years of using the Photoshop air brush tool paid off!! I really like the final results and if I decide in a few years I want to change the look, I’ll just peel it off!